The only hardware partner seemingly with hardware at launch is MediaTek: its spin of the chip family is the MT3620. It uses a Cortex-A7 and Cortex-M4F cores along with the Pluton coprocessor and walled-off Wi-Fi transceiver. It features serial interfaces, analog-to-digital converters, pulse-width-modulation outputs, and general input-output pins, all for reading from sensors and buttons, controlling motors, and activating stuff like LEDs. Microsoft said its reference blueprints for Pluton SoCs are flexible, so chip slingers will have some choice in which Arm cores and IO peripherals they use. Arm, meanwhile, is pitching its part in this – minus the Pluton and Sphere OS components – as the Platform Security Architecture. Basically, if you want to do your own IoT security chips, you can use the Cortex-A and Cortex-M cores along with Arm's design kit to produce something similar. 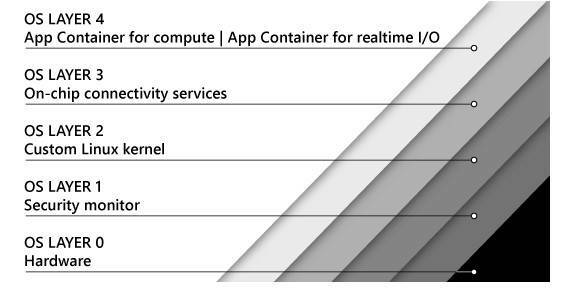 In the middle sits Azure Sphere OS. 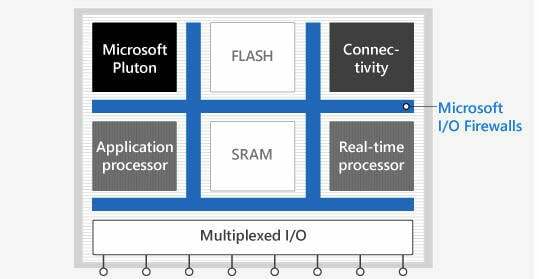 This is Microsoft's custom Linux kernel that runs on the SoC's application core, executes your device's main software, and is designed to talk to the Pluton portion of the chip so that it can send and receive network traffic via the walled-off Wi-Fi controller. Microsoft has produced a Visual Studio extension for writing code that runs on the application CPU core. Microsoft said it will deliver dev kits by the middle of the year, with the first devices using this technology shipping by the end of 2018. From there, the MCU-equipped internet-of-things will connect to the Azure Sphere Security Service backend, the actual cloud service where Microsoft will handle things like incident reports, software updates, and failure reporting. The cloud service is where Microsoft makes its money on the whole deal – the chip blueprints are offered royalty free. Azure Sphere will be sold as a "turnkey" service for companies that are embedding connectivity into their primary products and don't want to worry too much about security. From there, other Azure services (cloud compute, SQL server, etc) are natural fits, meaning even more subscription cash.